Nick Sandmann said on the "Today" show. Kentucky high school student Nick Sandmann has sued CNN for its reporting on a viral video controversy in January. The lawsuit, seeking damages of $275 million, follows Sandmann's multi-million dollar lawsuit earlier this month against the Washington Post. 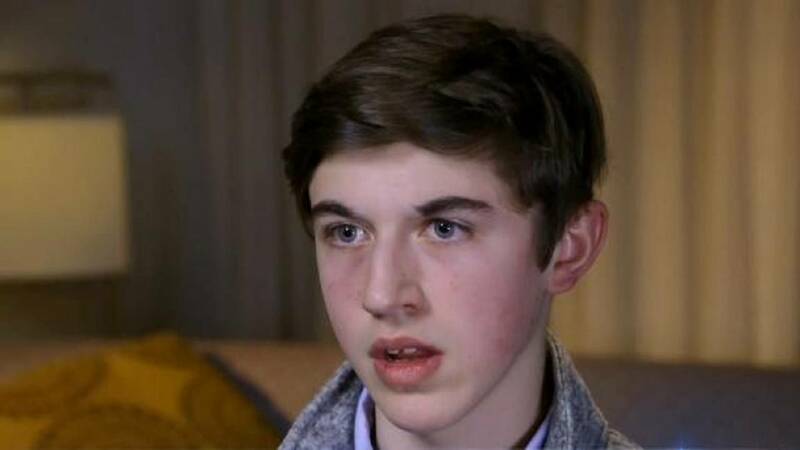 Sandmann, a student at Covington Catholic High School, was videotaped on the National Mall in Washington D.C., on January 18 after he and other students participated in the annual March for Life rally. In a video that went viral, Sandmann was seen wearing a red Make American Great Again hat standing in front of Omaha tribe elder Nathan Phillips. Phillips, who was beating a drum and chanting, had participated at the Indigenous Peoples March the same day. Additional video that surfaced in the following days provided more context for the encounter. Sandmann defended his actions in the days after the encounter, telling journalists that he had been trying to defuse tension among different groups that had gathered in front of the Lincoln Memorial, and denying that any of the students had acted out of racism. Sandmann's attorneys later released their own video and threatened legal action against CNN, the Associated Press, and other major news outlets that reported on the incident and its aftermath. Sandmann's new lawsuit, filed in federal district court in Kentucky, claims that CNN "put its anti-Trump agenda first" in reporting on the January 18 encounter. A statement released by CNN said the network "is reviewing the lawsuit," adding that "CNN reported on a newsworthy event and public discussion about it, taking care to report on additional facts as they developed and to share the perspectives of eyewitnesses and other participants and stakeholders as they came forward."